Whimsy by Shellye: Rain or Shine? I found that the color combination soon began to grow on me so why not make some crepe fringe to match? 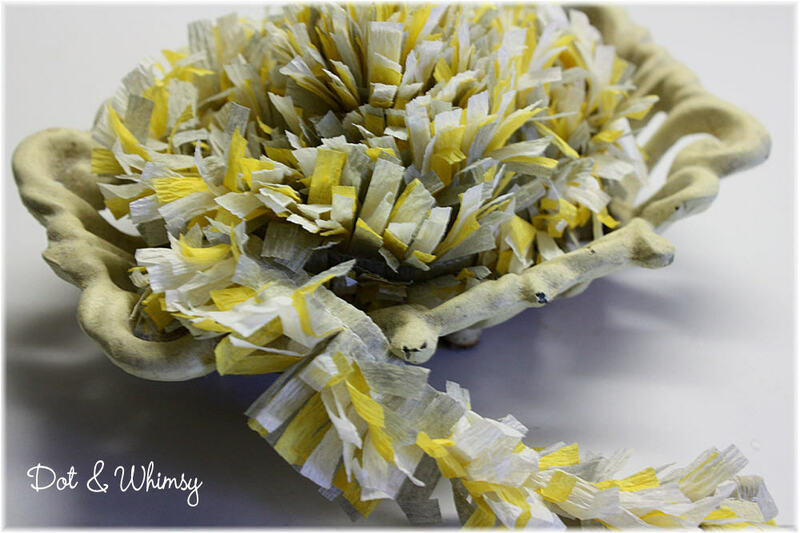 You can now find --Rain or Shine-- Handmade Crepe Paper Fringe at my Dot & Whimsy Etsy shop! Colors of marigold, gray and white have been machine-stitched, doubled, machine-stitched again and then carefully handcut to create a fun and festive fringe. On a BETTER note, tomorrow we are hosting a fantastically fun BLOG HOP at Paper Issues. Tons and tons of prizes to be given away! My prize give-a-way? One winner will receive THREE skeins of --On The Fringe-- Handmade Crepe Paper Fringe! I have tons of color schemes; you get to pick your very own three :) What do you do with fringe? The fringe that I make isn't necessarily the kind that you hang from the rafters; rather, I created this fringe to outline the tops of baskets and bags, to add a little pizazz to cards and scrapbook pages, or to embellish party hats, clay figurines and prim dolls...there are literally tons of possibilities. Everyone seems to ♥ ♥ ♥ tha FRINGE! So get ready tomorrow, Friday September 16th to begin hopping with us! So, for me? I've been asked to be a Guest Designer at Kraft Outlet. Oh. My. Goody. Have you visited? This girl LOVES some kraft goodness ♥ It's a staple in my stash. Kraft is so awesome, I can't even tell you. Congrats on another great gig! And I do love your fringe, so dang creative! I agree- awesome colors for the frige- beautiful! 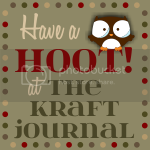 Just wanted to stop in today to tell you how delighted we are to have you scheduled as our Guest Designer in March for the Kraft Outlet and The Kraft Journal... we're looking forward to working with you!! Shellye, I am saving this idea to use with my grandsons..I think they will flip over this. So adorable.